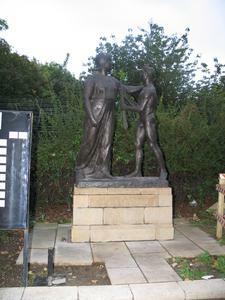 Two bronze figures are in black rod's garden behind Victoria tower. 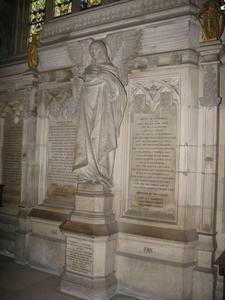 Figures depict a youth 'proud of his right to serve seen at the end of his task offering up his sword to his country', depicted by a female figure. 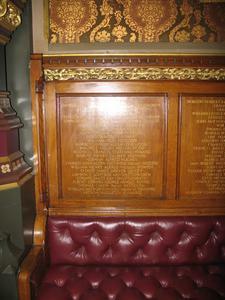 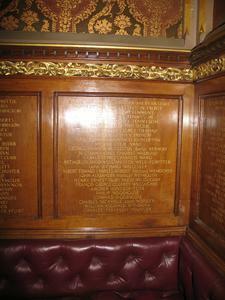 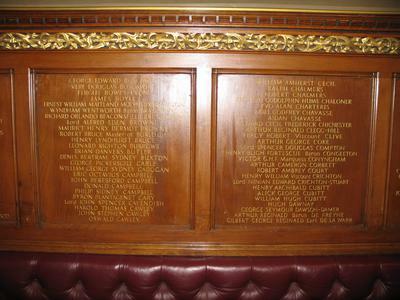 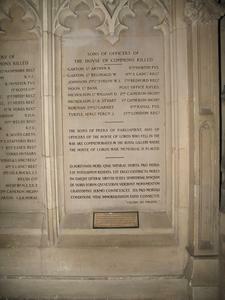 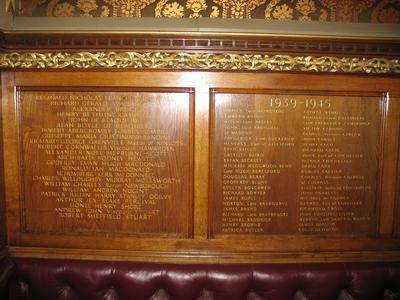 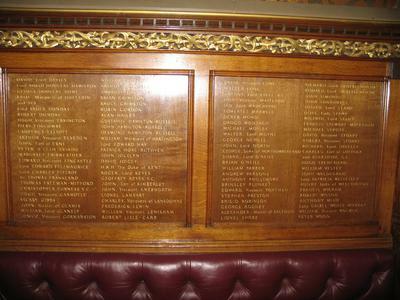 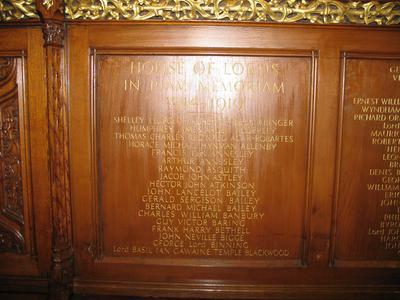 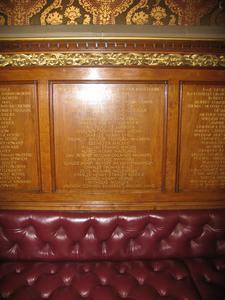 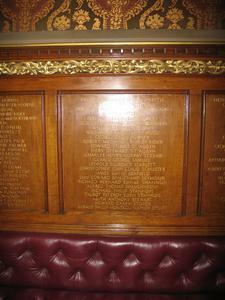 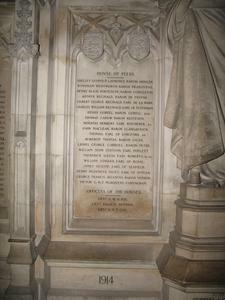 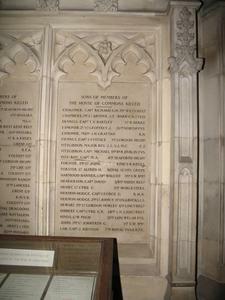 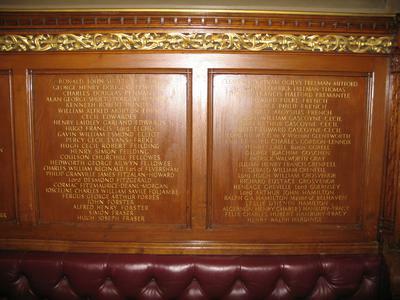 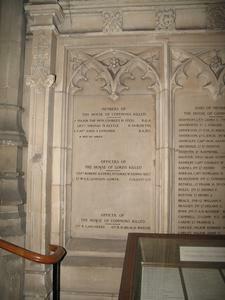 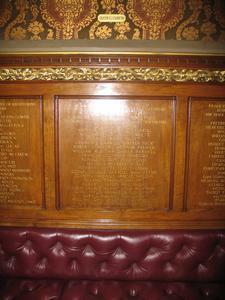 Fourteen oak panels in the Royal Gallery have the names of the dead engraved in gold. 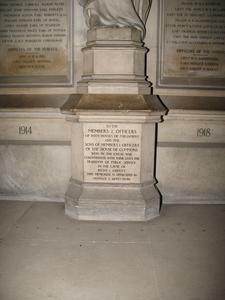 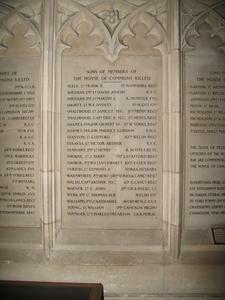 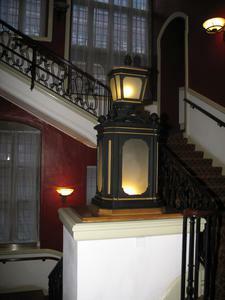 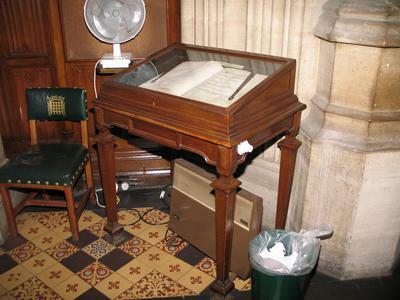 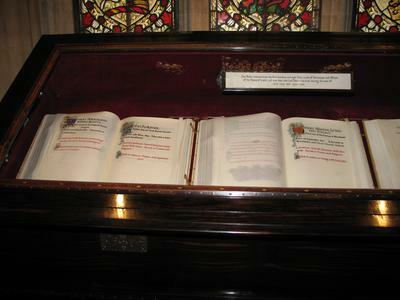 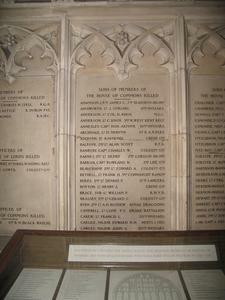 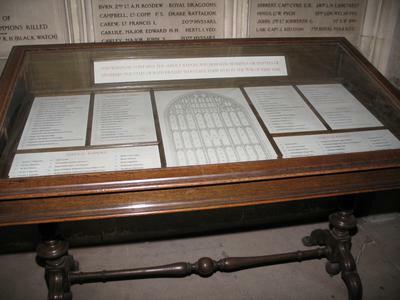 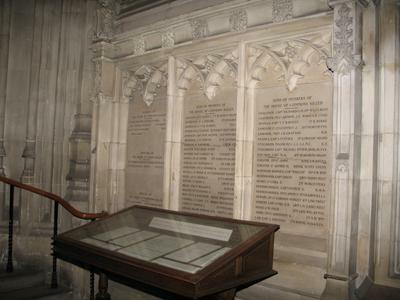 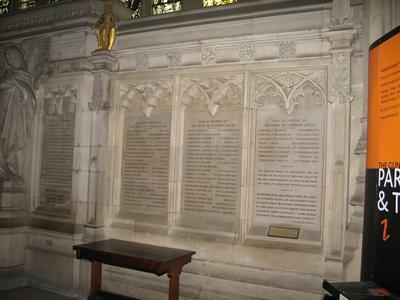 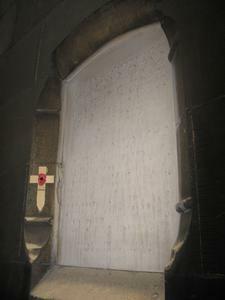 A nearby case holds three illuminated books listing the names giving details of the life and careers of the fallen. 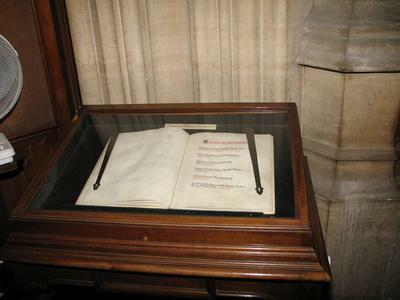 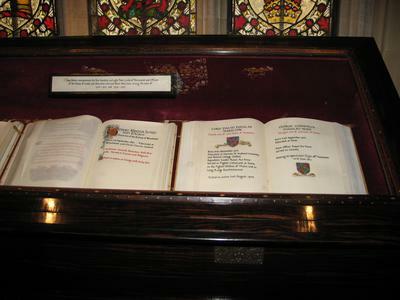 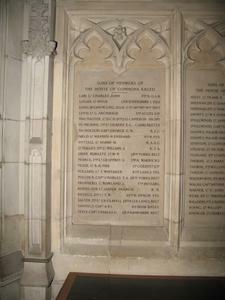 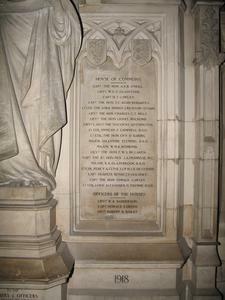 Each page has coat of arms of deceased or his father.